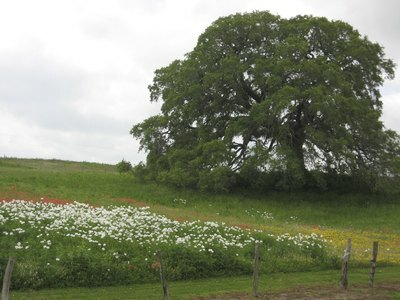 Known for its heat, drought and alkaline soils, South Central Texas isn't easy on plants. This inland region pairs 14 to 42 inches of annual precipitation with a 17-inch net evaporation rate. From rolling prairies in the west to hill country in the east, the South Central region spans U.S. Department of Agriculture plant hardiness zones 7b through 9a. Beyond the usual prickly suspects, many heat and drought champions prove themselves Texas tough. South Central's heat and drought don't faze the region's native annuals. 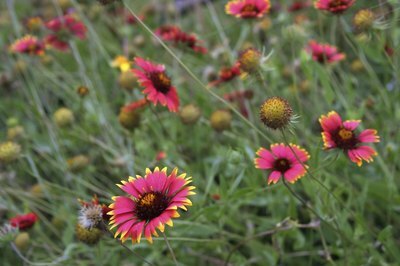 Indian blanket (Gaillardia pulchella) covers gardens and hot hillsides in rich shades of orange, rust-red and gold. 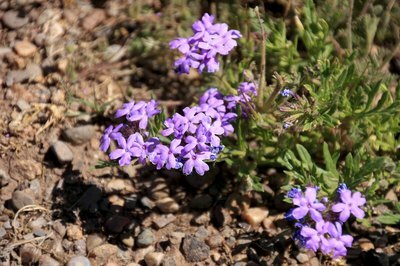 Prairie verbena (Glandularia bipinnatifida var. ciliata) responds to gravelly soil and hot sun with nonstop, magenta-purple blooms from spring through fall. Nonnative zinnia hybrids (Zinnia hybrida) and globe amaranth (Gomphrena globosa) deliver long-lasting, season-long blooms as they bask in South Central sun, heat and drought. "Powis Castle" ornamental sage (Artemisia x "Powis Castle") fits right into South Central landscapes. Hardy in USDA zones 4 through 9, the 3-foot plant's finely divided, silvery foliage tolerates high heat and drought. Texas sundrops (Calyophus berlanderi), which grows in USDA zones 5 through 9, tolerates heat and drought and produces yellow blooms on an 18-inch plant from spring to fall. "Henry Duelberg" sage (Salvia farinacea "Henry Duelberg") is a heat-tolerant selection of a native Texas sage. Hardy in USDA zones 7 through 9, it responds to South Central Texas rigors with vigorous growth and masses of deep blue, season-long blooms. 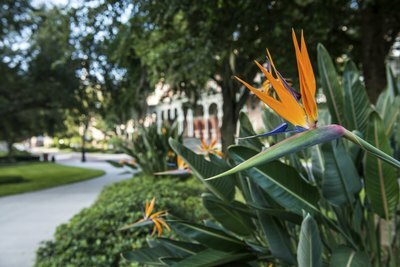 Mexican bird of paradise (Caesalpinia mexicana) beats heat and drought with ferny foliage and tropical, red-orange flowers on a shrub up to 10 feet tall. Texas sage, also called Texas ranger (Leucophyllum frutescens), ignores the heat and blankets its 8-foot-tall silvery-green foliage in purple blooms after rain. The 4-foot-tall perennial Copper Canyon shrub daisy (Tagetes lemmonii) gets shrub treatment in South Central gardens as yellow flowers cover it from summer through fall. Meanwhile, the shrub Damianita daisy (Chrysactinia mexicana) gets treated like a flower. Pollinators flock to its golden-yellow blooms from spring through fall. Both "daisies" tolerate hot, exposed areas that intensify their aromatic foliage. All four of these shrubby plants grow in USDA zones 8 through 10. Native Texan trees suit challenging South Central yards. Mexican redbud (Cercis canadensis var. mexicana), which grows in USDA zones 6 through 9, reaches 10 to 15 feet tall and wide. The tree teams exceptional heat and drought tolerance with magenta, pollinator-pleasing, spring blooms and small, thick, waxy foliage with wavy margins. Lacey oak (Quercus laceyi), which grows in USDA zones 7 through 9, reaches 30 to 45 feet in height and spread. Highly tolerant of heat, drought, and alkaline South Central soil, the attractive lacey tree needs little water. Texas mountain laurel (Sophora secundiflora), hardy in USDA zones 7 through 11, grows 15 feet tall with fragrant, purple, early spring blooms. Also known as mescal bean, the tough, low-maintenance plant's bean pods are toxic if eaten.